Congratulations to Tisa Houck, winner of last week's Friday Freebie contest: The Girl You Left Behind and Me Before You, two excellent novels by Jojo Moyes. 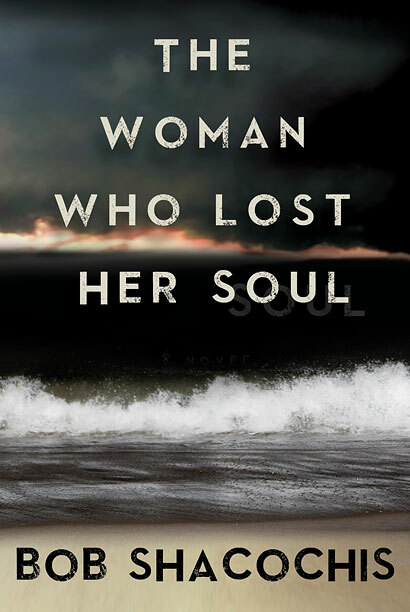 More than ten years in the making, The Woman Who Lost Her Soul is a "masterpiece" (Robert Olen Butler). 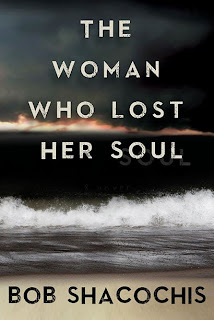 Renowned through four award-winning books for his gritty and revelatory visions of the Caribbean, Bob Shacochis returns to occupied Haiti in The Woman Who Lost Her Soul before sweeping across time and continents to unravel tangled knots of romance, espionage, and vengeance. In riveting prose, Shacochis builds a complex and disturbing story about the coming of age of America in a pre-9/11 world. When humanitarian lawyer Tom Harrington travels to Haiti to investigate the murder of a beautiful and seductive photojournalist, he is confronted with a dangerous landscape riddled with poverty, corruption, and voodoo. It’s the late 1990s, a time of brutal guerrilla warfare and civilian kidnappings, and everyone has secrets. The journalist, whom he knew years before as Jackie Scott, had a bigger investment in Haiti than it seemed, and to make sense of her death, Tom must plunge back into a thorny past and his complicated ties to both Jackie and Eville Burnette, a member of Special Forces who has been assigned to protect her. From the violent, bandit-dominated terrain of World War II Dubrovnik to the exquisitely rendered Istanbul in the 1980s, Shacochis brandishes Jackie’s shadowy family history with daring agility. Caught between her first love and the unsavory attentions of her father—an elite spy and quintessential Cold War warrior pressuring his daughter to follow in his footsteps—seventeen-year-old Jackie hatches a desperate escape plan that puts her on course to becoming the soulless woman Tom equally feared and desired. Set over fifty years and in four countries backdropped by different wars, The Woman Who Lost Her Soul is a magnum opus that brings to life, through the mystique and allure of history, an intricate portrait of catastrophic events that led up to the war on terror and the America we are today. First Sentence: "During the final days of the occupation, there was an American woman in Haiti, a photojournalist--blonde, young, infuriating--and she became Thomas Harrington's obsession." Telegraph Avenue has also been hailed as "a masterpiece" (People, Booklist, and a guy named Martin on Goodreads). While I wouldn't put it at the same elevation as The Amazing Adventures of Kavalier and Clay, I sure as hell enjoyed my time in these pages. As the summer of 2004 draws to a close, Archy Stallings and Nat Jaffe are still hanging in there—longtime friends, bandmates, and co-regents of Brokeland Records, a kingdom of used vinyl located in the borderlands of Berkeley and Oakland. Their wives, Gwen Shanks and Aviva Roth-Jaffe, are the Berkeley Birth Partners, a pair of semi-legendary midwives who have welcomed more than a thousand newly minted citizens into the dented utopia at whose heart—half tavern, half temple—stands Brokeland. When ex-NFL quarterback Gibson Goode, the fifth-richest black man in America, announces plans to build his latest Dogpile megastore on a nearby stretch of Telegraph Avenue, Nat and Archy fear it means certain doom for their vulnerable little enterprise. Meanwhile, Aviva and Gwen also find themselves caught up in a battle for their professional existence, one that tests the limits of their friendship. Adding another layer of complications to the couples' already tangled lives is the surprise appearance of Titus Joyner, the teenage son Archy has never acknowledged and the love of fifteen-year-old Julius Jaffe's life. First Sentence: "A white boy rode flatfoot on a skateboard, towed along, hand to shoulder, by a black boy pedaling a brakeless fixed-gear bike." Put FRIDAY FREEBIE in the e-mail subject line. One entry per person, please. Despite its name, the Friday Freebie runs all week long and remains open to entries until midnight on Sept. 12, at which time I'll draw the winning name. I'll announce the lucky reader on Sept. 13. If you'd like to join the mailing list for the once-a-week newsletter, simply add the words "Sign me up for the newsletter" in the body of your email. Your email address and other personal information will never be sold or given to a third party (except in those instances where the publisher requires a mailing address for sending Friday Freebie winners copies of the book).